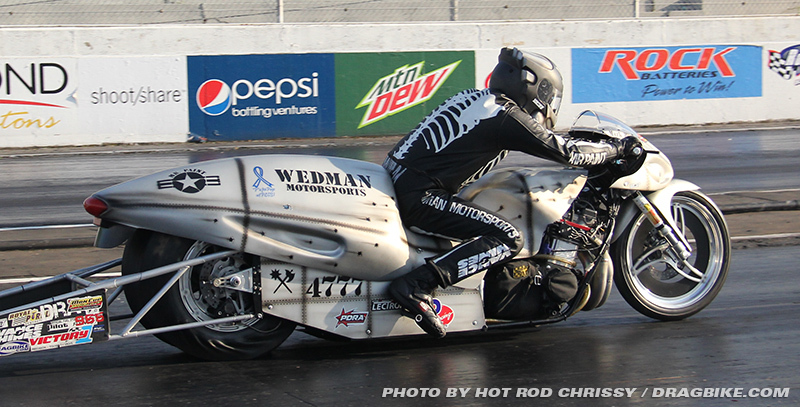 Motorcycle drag racers are ready for their return to Rockingham Dragway on September, 17-18 for two days of Man Cup drag racing at the 22nd annual MTC Engineering Nationals. 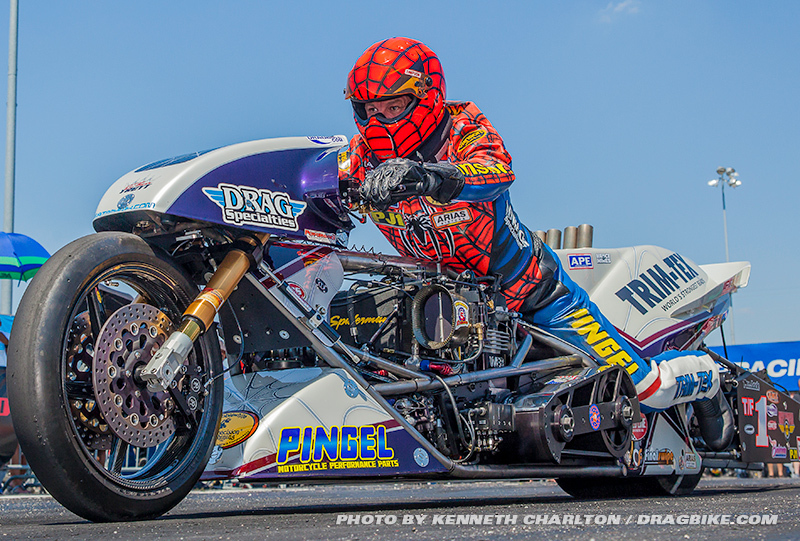 The race will feature some of the world’s fastest motorcycles including Larry “Spiderman” McBride, and Dave Vantine who gave motorcycle drag racing the sport’s first ever side-by-side five second, motorcycle drag race. Sam Wills of Oklahoma City, Oklahoma, who first blasted into the fives at the Man Cup World Finals in 2015, is currently in the Pingel Top Fuel points lead with 251 points, just a wheel ahead of number two man Larry McBride who owns 213 Man Cup points. The MTC Engineering Nationals at Rockingham is a vital race for these two cagey veterans. 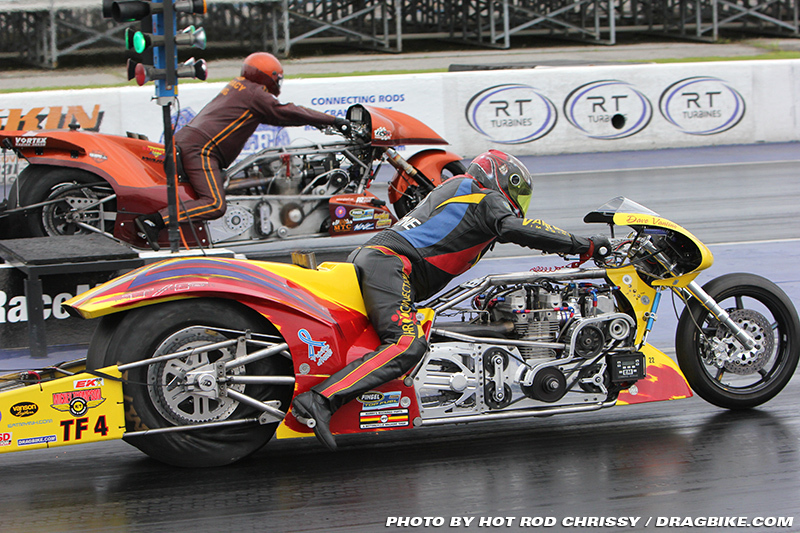 They both need strong showings heading into this year’s World Finals set for November at South Georgia Motorsports Park. At the moment either racer can vault ahead in the points race, so swords will clash between them at this Rockingham event. The battle between the Nitro Conspiracy team and Larry “Spiderman” McBride’s team alone is worth the price of admission to this drag race. Not that they are alone; Dave Vantine and his team are not out of the points hunt (175 points) and if they get the tune up right, Dave can power by them both. 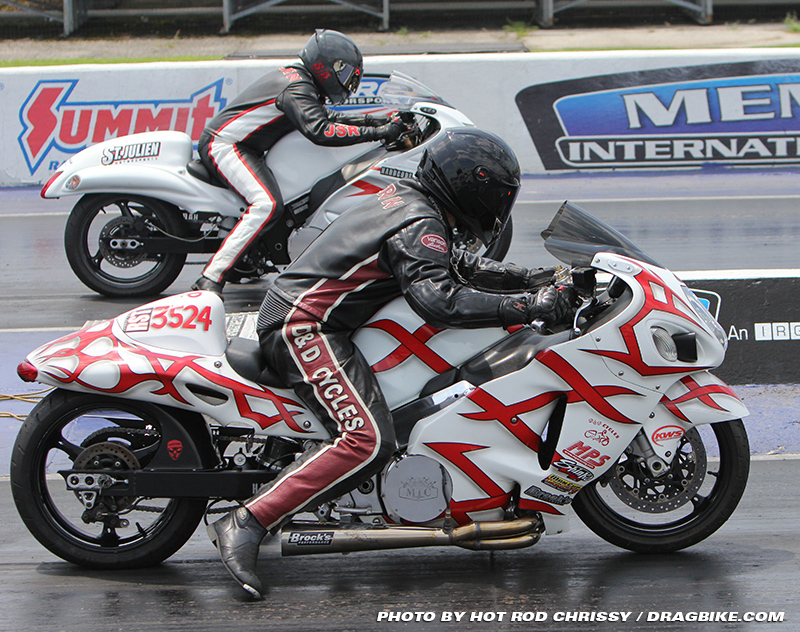 Keep your eyes on the track when the Pingel Top Fuel bikes are out there! It’s worthy to note, that with this race being in September, and this being the 20th anniversary of the passing of Top Fuel motorcycle drag racing legend Elmer Trett, Jay Regan of the Man Cup sanction has stated, “At the Mann Hill Garage World Finals presented by Kibblewhite, the Man Cup will absolutely be honoring the legacy of the great one himself, Elmer Trett. 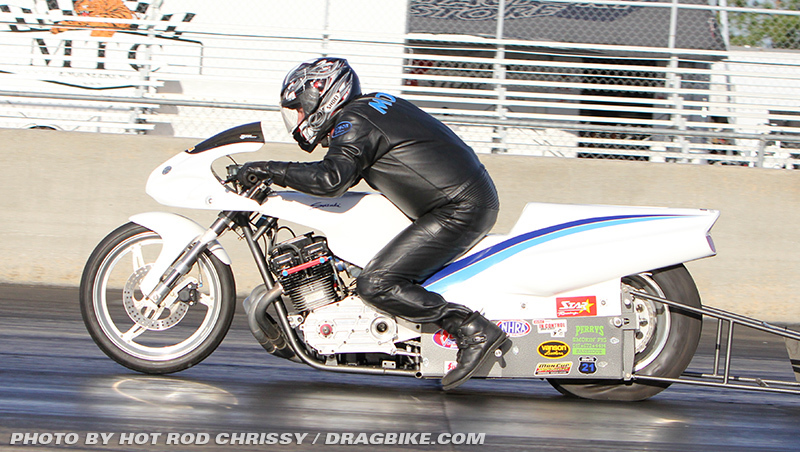 Motorcycle drag racing fans the world over owe a debt of gratitude for all Mr. Trett did for our sport in his career. Twenty years time has gone by by since his very unfortunate passing and amazingly, his name and handiwork are still just as prevalent in Pingel Top Fuel as they were before his death! All of motorcycle drag racing should plan to join us November 11-13 in celebration of the 20th anniversary as we plan to honor Mr. Trett justly at the Finals”. On June 11th, the last time the Man Cup racing sanction was at The Rock earlier this year, in the Falicon Pro Mod class, Travis Davis defeated Paul Gast for the win. Going into this race at Rockingham, Paul Gast is currently number one in points with a 254 point total, just one slim point ahead of Brunson Grothus. Travis Davis is holding 238 points for his total so this race is a must race for all three racers. There’s no way a clear cut class champion will emerge in the Falicon Pro Mod series until the late rounds of the World Finals in November. 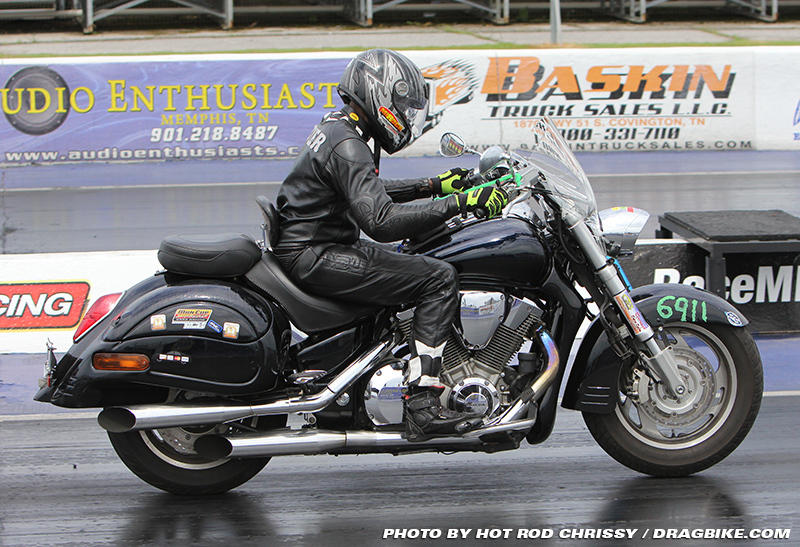 In the Hawaya Racing Pro Fuel class, featuring the nitromethane burning Harleys, Tyler Wilson holds a commanding lead over current class champion Rocky Jackson in championship points, 228 to 155 respectively. Rocky did not make the last Man Cup event in Memphis, Tyler did and now the Tyler Wilson team has a great advantage in points going into race number four of five with the Man Cup sanction. 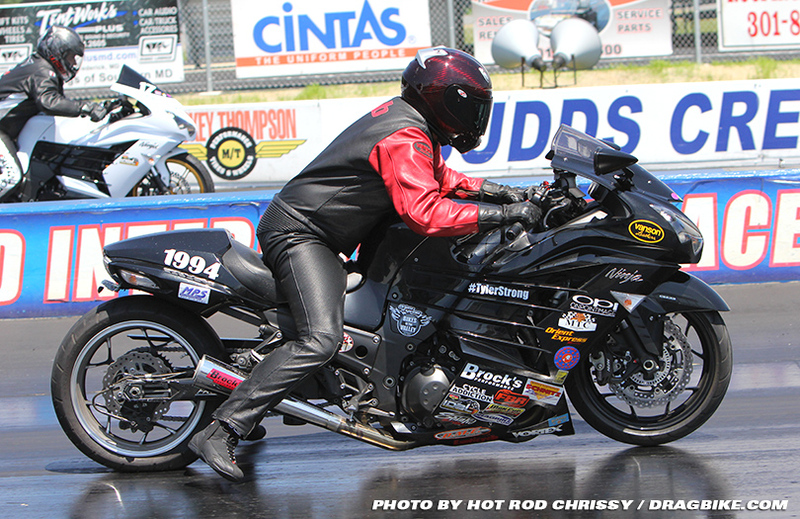 With a strong showing at The Rock II race, Tyler can bump his class point’s totals out of reach for the other Pro Fuel racers. In the APE sponsored Pro Street class, Joey Gladstone may be the points leader with 294 points leading Brandon Mitcham by 66 points going into the next race, but Joey and his team can’t get comfortable with this. Mark Paquette, Terence Angela, Ehren Litten and Bud Yoder are all capable assassins that can ruin Joey’s day in a heart-beat. The DME backed racer must qualify well and go rounds every race to stay in championship contention for what could be his fourth consecutive title with Man Cup. Yet it’s unnerving to note that a whole slew of teams surround him and they are all capable of winning any event. 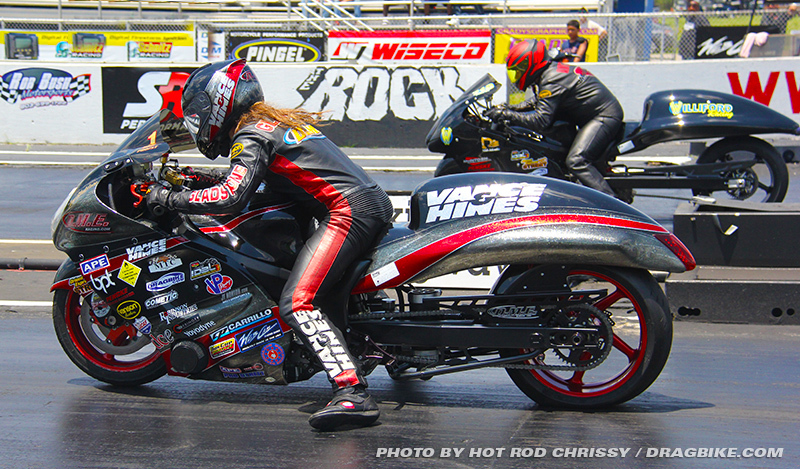 APE sponsored Pro Street racing with Man Cup is some of the most hotly contested drag racing in the sport today. 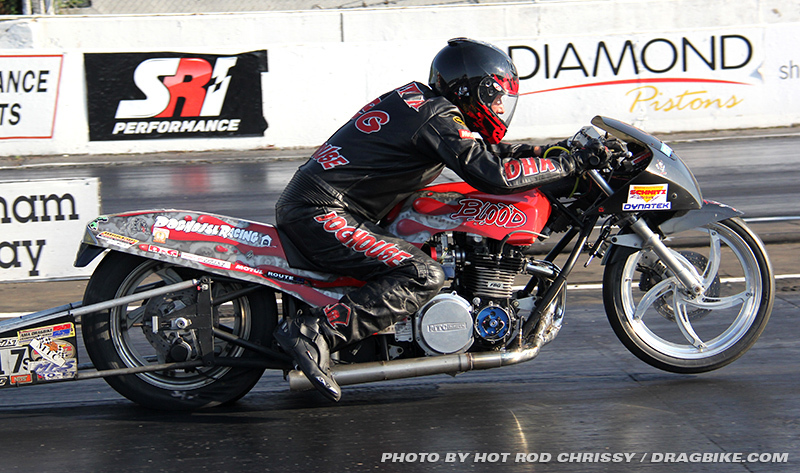 In the Shinko/WPS sponsored Real Street class, it’s a different story for Joey Gladstone. 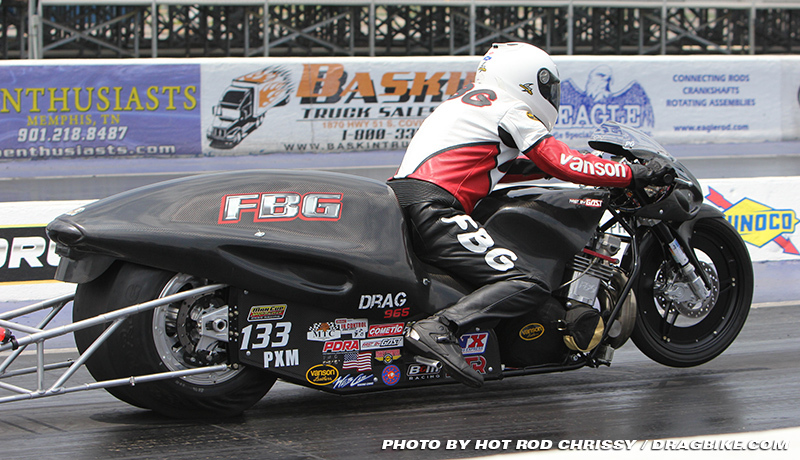 His 316 championship points total is a commanding 108 points over his closest competition Jason Herron. 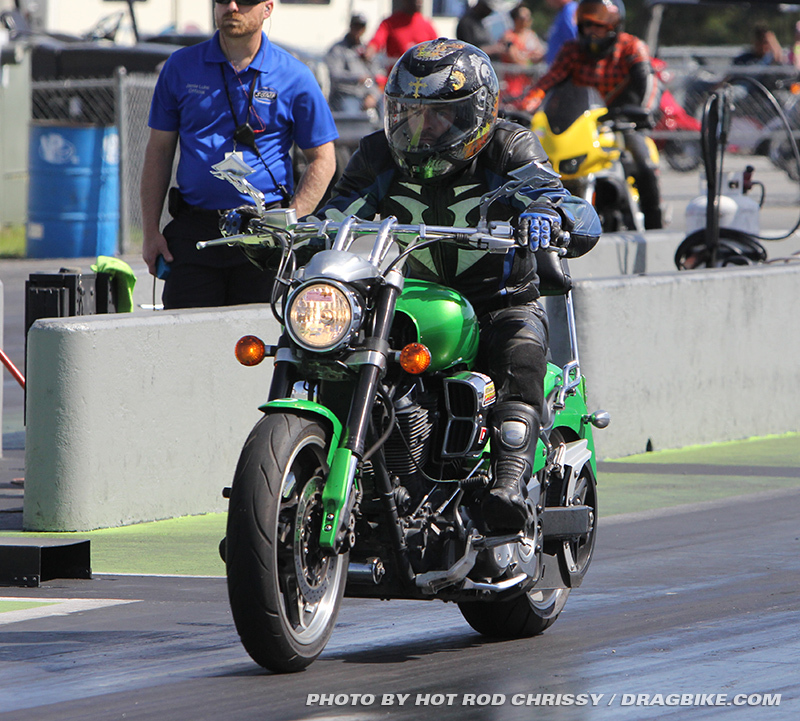 If Joey qualifies deep and goes rounds at the Rock in the Shinko/WPS Real Street class, this championship can wrap up by the end of the event. In the Grothus Ultra 4.60 class of sportsman racing, Roderick Sanders Jr. leads the pack with 258 points, fresh off his win at the last Man Cup event in Memphis, TN., on July 24th. His first place in championship points going into the Rockingham race is a slim 34 point lead over Chase Morris and Keith Dennis is just 24 points behind Chase. The bottom line is, the MTC Engineering Man Cup event for the Grothus Ultra 4.60 class is a must attend event for these racers. They are all in a four-way battle for the championship and this race is a must win for them. Whichever team wins at Rockingham will have an important advantage going into the World Finals as the last race of the season. The Star Racing Top Gas class racing is just as tight at the 4.60 class. In the Star Racing sponsored series of Top Gas, veteran Ron Morris has 256 championship points, followed closely by Chad Otts with 244 points. And Harvey Hubbard with 208 points is right behind them both. T/G is a very heavily contested class with a lot of motorcycles every race so any of these three racers really need to pull away if they can at this race. The winner of this class at The Rock, will be the racer in the best position to have a shot at the championship in November at the Man Cup World Finals. 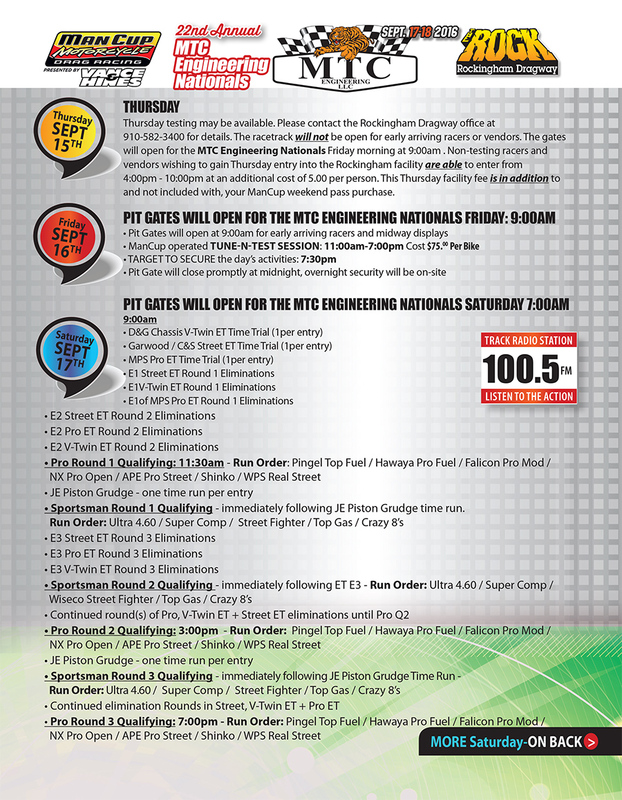 MTC Engineering is not only the title sponsor of the Man Cup event at Rockingham for the September 17-18, 2016, race, it’s also the class sponsor of the MTC Super Comp Series. The hotly contested Super Comp index class is an absolute dog-fight every race. Going into this next race, John “Spooky” Markham with 268 points is in the lead. He’s followed closely by Matt Smith (242), Mark McCoy (203), Dusty Brazel (193) and Chad Otts (190). 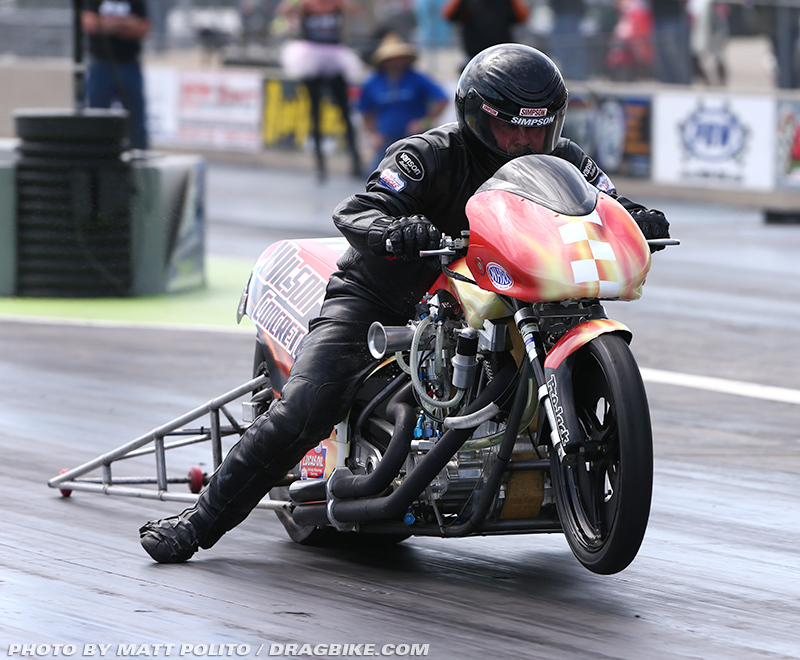 Spooky suffered a bad crash on his Top Gas bike at an event on September 4th and came off the bike at 130 MPH. He suffered some road rash but he’s a tough one, “Yes I’ll be at the Man Cup race. My sponsor, Ray Mancinni at Xtreme was at my house the day after the mishap and he began the rebuild of my bike right away – we will be ready.” Top Gas, home of the BAMF racers! In the World Wide Bearings Crazy 8’s class, going into the Man Cup Rock II race, bad Bob Carlson of CT. has emerged as the point’s leader with 236 points and he’s a tough act to follow. He’s only ahead of second place Danny Miller by 19 points and Wade Smith by 23 points. Due to the high numbers of bikes that race in this class, a lot of rounds of racing are involved, so point totals can really accumulate quickly. This class is a dog fight to the end in November. In the Wiseco Street Fighter class, bad Bob is also leading in points by a 232 to 189 point total over second place Duane. Wade Smith (185), Danny Miller (184) and John Markham (182) all follow the leader. Unless one of them can really pull away at the Rockingham race, this will be the battle front for the MANCUP World Finals in Street Fighter class. The D&G Chassis, V-Twin class has Barry Pryer Sr. leading the championship point’s race with 255 points and Walter Houghtaling with 205 points in the second place slot. If Walter can pull ahead or get close to Barry at the Rockingham event, then it’s anyone’s championship going into the World Finals event. The winner of the next race will certainly set the stage for the biggest race of the year at the Man Cup World Finals. In the MPS Pro ET class, John “Spooky” Markham is the man to beat, but his 318 points is a distant leader over the 181 points of Matt Smith. As long as the Spooky man stays on course, he’s got this one in the bag. Certainly he’s in contention for multiple championships, and he’s not alone in that respect. 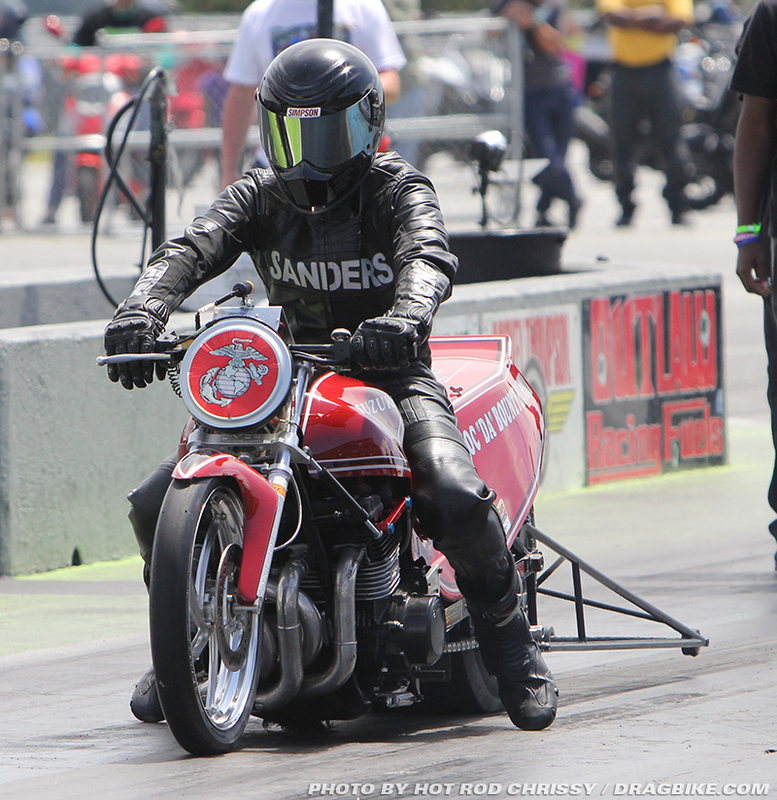 In Garwood/C&S Street ET class racing, “Bad Bob” Carlson is the point’s leader of Street ET, a class he’s raced in for decades. Bob is ahead of Clint Riley (220), and Stanley Russell (196) who can still upset his apple cart. But with so many motorcycles and so many rounds of racing necessary to win in Street ET, there is no way to predict an outcome. Yet it’s clear, both Markham and Carlson are tough customers capable of winning more than one points championship with the MANCUP sanction in 2016. And because the Sportsman racers are a vital part of Man Cup drag racing, Schnitz Racing has stepped up its commitment to the sport by announcing a guaranteed purse structure with a minimum payout and a maximum payout to classes, guaranteed by Schnitz Racing in writing, no matter how many entries there are in: Top Gas, Super Comp, Crazy 8’s, Street Fighter, Street ET, Pro ET and Real Street for the remaining two races of the 2016 season. 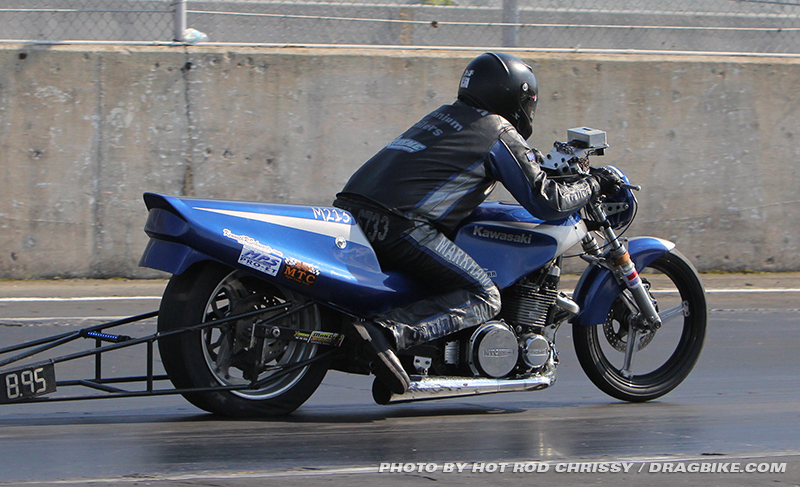 Racers should note that at the MTC Engineering Nationals at Rockingham Dragway, September 17/18, there is a test and tune available for Friday, September 16th, at a cost of $75/bike. 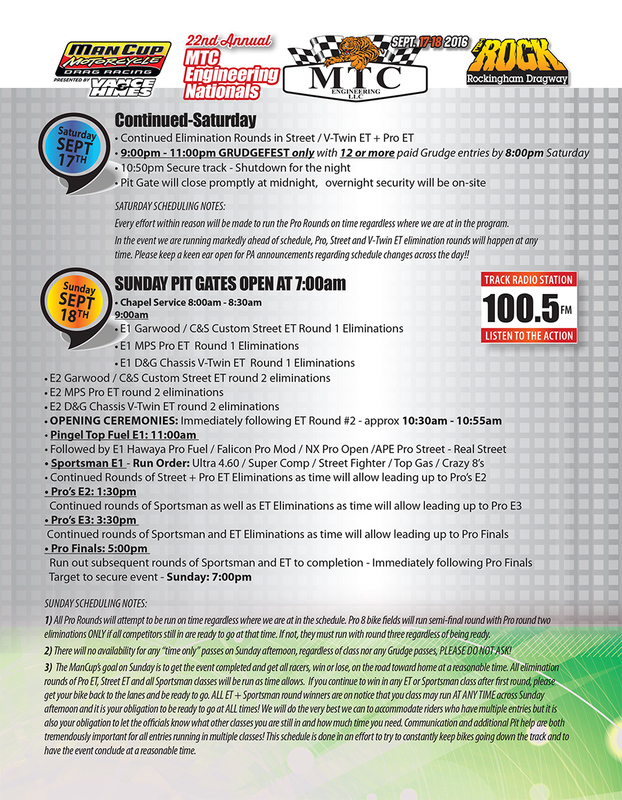 The gates will open at 9AM, Friday with the T&T set for 2-8 PM, EST. Grudge bikes are encouraged to get busy between 8-10 PM cost is $100/bike.